This is one of the first questions we usually ask when we start to recover from the shock that our dog has something akin to Alzheimer’s. The good news is that there is some evidence that dogs with canine cognitive dysfunction live just as long, on average, as dogs without it. You read that right. There is a study that showed that CCD does not reduce dogs’ life expectancy. A group of researchers studied the life expectancy of senior dogs with and without canine cognitive dysfunction (Fast, Schütt, et al, 2013). In the study of 98 dogs, they found no negative effect on the longevity of the dogs who had the disease. The dogs lived normal life spans. Actually, the group of dogs with dementia had slightly longer life spans on average. The researchers theorized that this could have been because of the high quality of medical care they got due to their condition. These were senior dogs, and 74 had died or had been euthanized at the time of the final follow-up. But only six of these dogs were euthanized primarily because of dementia. So some good news is that CCD may not shorten your dog’s life. But it can affect your dog’s quality of life. My book on CCD describes the steps you can take to enhance your dog’s life and possibly his longevity. But What About My Dog? How Fast Will the Dementia Progress? I don’t think of Zani as a senior at nine, but she sure went gray fast! Average lifespan is one thing. The factors that affect our individual dogs are another. 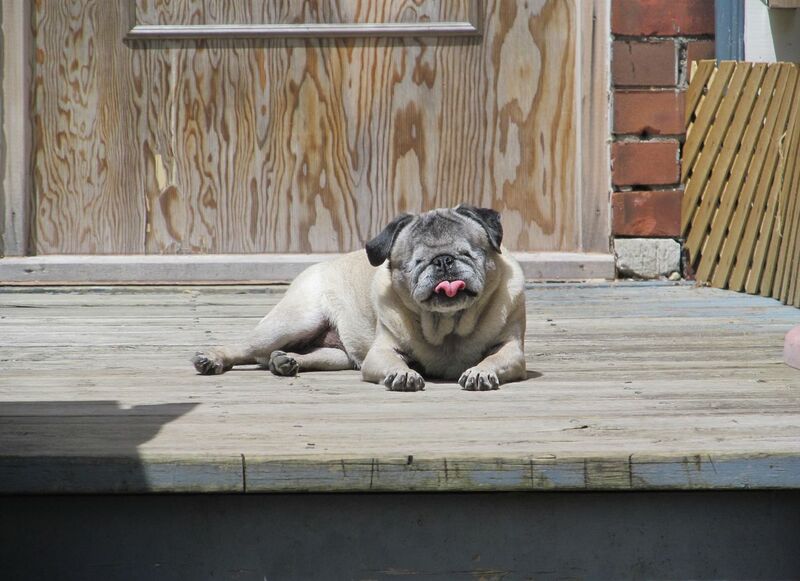 Researchers have recently identified stages in the course of canine cognitive dysfunction. Identifying the stage of your dog’s dementia can give you an idea of the possible progression of the disease. The researchers took data on the occurrences of 17 different behavioral symptoms in a large group of senior dogs. They concluded that there were three stages of canine cognitive dysfunction and they called them mild, moderate, and severe (Madari, Farbakova, 2015). Check out my separate post about the stages of CCD. In the U.S., board-certified veterinary behaviorists are vets who undergo years of structured training in animal behavior after veterinary school and must pass a rigorous examination before being certified. They are trained to treat behavior problems as well as underlying medical problems and often work in tandem with a general vet and a credentialed dog trainer. They are the specialists best qualified to diagnose and treat canine cognitive dysfunction. Board certified veterinary behaviorist Dr. E’Lise Christensen, DVM DACVB was kind enough to answer some questions about the life expectancy of dogs with CCD in her practice and experience. Is canine cognitive dysfunction a fatal disease like Alzheimer’s? I haven’t seen information on that and I haven’t seen dogs die on their own of CCD. The reality is that families seeking help from veterinarians aren’t likely to have their pets die at home from this disease, but rather they will be euthanized due to the disturbing symptoms or due to another medical co-morbidity in my experience. What’s the longest you’ve known a dog to live after a diagnosis of CCD? Approximately two years, but since it’s a diagnosis of exclusion, it’s always possible that cognitive dysfunction is both under-diagnosed and over-diagnosed. For instance, some dogs with symptoms of cognitive dysfunction will improve markedly with great dental work and pain medication. This suggests that perhaps pain is complicating their behavioral profile. Some diagnosed with CCD may die quickly because they actually have quickly progressing brain tumors. Can medical, nutritional, and lifestyle changes positively affect the life expectancy of an individual dog? I believe interventions can improve longevity/life expectancy because they may calm the symptoms and improve quality of life for both families and their pets. I see it in my practice as a veterinary behaviorist as well as in the general practitioner side. 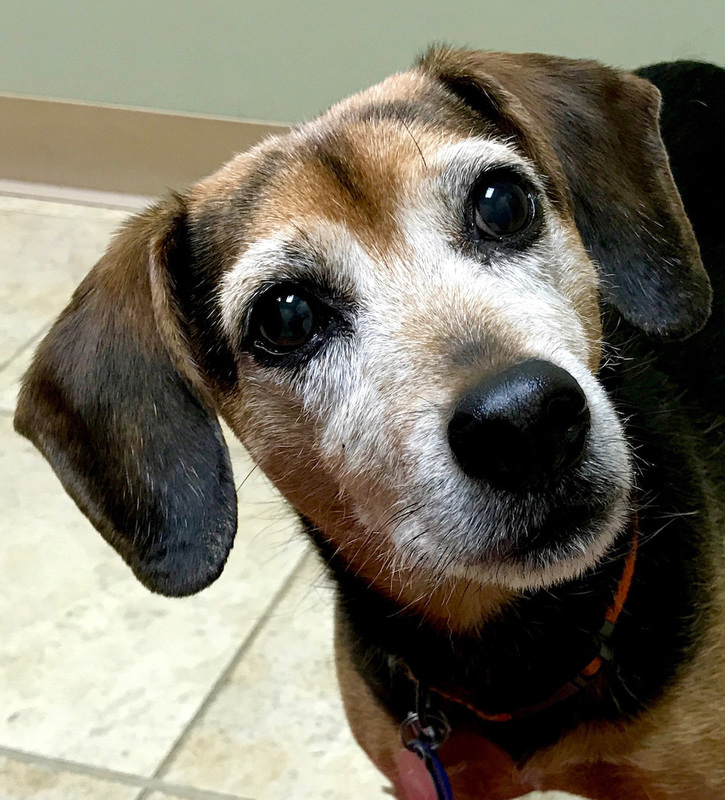 If the veterinary clinician is astute and practiced with early intervention and proactive treatment, a patient who was scheduled to be euthanized for this disorder could be saved for potentially several months, if not longer. However, really proactive treatment of cognitive dysfunction is still hard to find for clients. It can be difficult to find a veterinarian who knows all of the treatments for this disorder, unless he/she is a veterinary behaviorist. 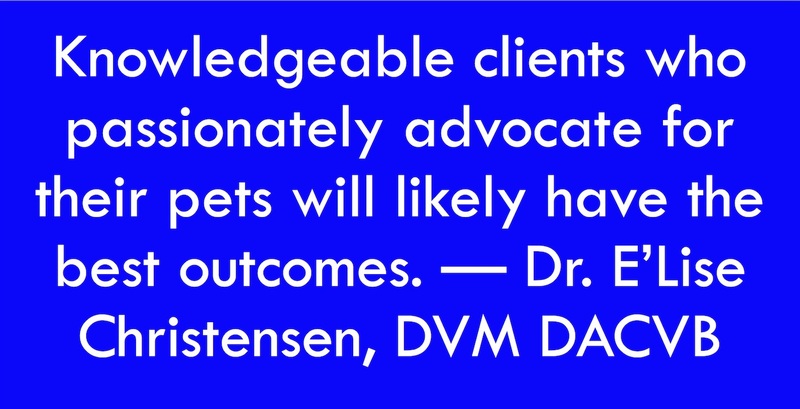 Knowledgeable clients who passionately advocate for their pets will likely have the best outcomes. How early do you recommend medical or other interventions for a senior dog? I think it’s reasonable to consider starting cognitive protection on every patient as early as age seven. And that’s when we often implement supplementation, etc., in our practice, even if the patient has no clinical signs. Dr. Karen Overall (also a veterinary behaviorist) covers the title question in her book, Manual of Clinical Behavioral Medicine for Dogs and Cats. A: We cannot know the answer to this question, but the earlier intervention is attempted, the greater the likelihood of a longer and happier life. Overall, the amount of life left will increase [with treatment], but the Quality of Life will increase even more. Some board certified veterinary behaviorists will do long distance consults via telephone or video conferencing with you and your local veterinarian. You can search the directory of members of the American College of Veterinary Behaviorists to find some help for your dog and your family. The two studies I cited almost seem to contradict each other. One says that dogs with dementia may have the same life expectancy as those without. The other describes the fast progression of the disease. More research will surely be done on both of these fronts. But the results aren’t really contradictory. What they do tell us, though, is that if our dog shows any signs of cognitive abnormality, medical help is in order. This can even be done as a preventative measure as Dr. Christensen describes. In the end, none of us knows our dog’s exact life expectancy. But what we can do is be proactive about enriching his life and staying in close contact with a knowledgeable veterinarian or vet behaviorist for possible medical interventions. Dementia will present different problems to you, your dog and your family as it progresses. But there is help out there for many of those problems. Fast, R., Schütt, T., Toft, N., Møller, A., & Berendt, M. (2013). An observational study with long‐term follow‐up of canine cognitive dysfunction: Clinical characteristics, survival, and risk factors. Journal of veterinary internal medicine, 27(4), 822-829. Madari, A., Farbakova, J., Katina, S., Smolek, T., Novak, P., Weissova, T., & Zilka, N. (2015). Assessment of severity and progression of canine cognitive dysfunction syndrome using the CAnine DEmentia Scale (CADES). Applied Animal Behaviour Science, 171, 138-145. Photo of Moira Copyright 2009 Jared Tarbell and used according to this license. Photo of Zani copyright 2017 Eileen Anderson. Photo of Hazel copyright 2014 Blanche Axton. My 17 year old Chihuahua has been walking in a very obvious circle consistently when she’s up which is mostly at night. She seems to think that she needs to pee every other step she takes. She stares at walls, she is very snappy at everyone except me and hubby. she is blind in one eye now and seems as if her earring is going. She is confused. She consistently licks her private part for a long time. She tries to eat her poo/pee every time she goes. She now has accidents in the house even after she was just taken outdoors. Everything that has been mentioned is her to the fullest degree. I know if I take her to the Vet they will say it’s time. Just like everyone mentioned our pets are like our kids or family member. I love chihuahuas. I’m so sorry this is happening with your girl. I think it’s the hardest decision we have to make with our dogs. Take care. Hi Angie, our Frosty was that bad when first dx and he responded well to segeline and we’ve had a good year with him. He definitely has issues but they are manageable and he is sleeping through the night and only having occasional accidents. We know this will wear off as the disease is progressive but it has given us time to adjust to the dx. Wishing you comfort and peace . I want to thank you for your informative website. Our almost 16 yr old aussie, Fancy, first started showing signs of CCD in 2016 at the age of 13 with sleeplessness, pacing, wandering out of the yard, and no longer going to door to be let out. In May 2017, she had an episode of vestibular disease. She mostly bounced back and we manage both with lots of TLC. Now I think the symptoms of both diseases are affecting her quality of life and as much as it hurts, our family is having end-of-life discussions. I’ve found your website extremely helpful as a resource for our family discussions, but it is a very difficult decision when Fancy doesn’t show any outward signs of pain. We only want what is best for our beloved Fancy pansy. That’s quite a challenge to take care of a dog with both of those problems! It’s a testament to your love for Fancy that she has done so well. I’m sorry you are facing the hard, hard discussions. A lot of people here know something of what you are going through. Take care. It wasn’t easy but they key was a vet who had a dog with canine cognitive dysfunction. We call it sundowning in Alzheimer’s patients. Cleo certainly got worse in the fall also but didn’t get worse daily near sunset as a human would. I never did know for sure why she was worse in the fall but her life was more restricted as the weather got colder. She loved lying in the sun and going in and out of the house at will was curtailed once I couldn’t leave the door open. My dog has been diagnosed with dementia today. Shes an elderly dog (14), and it has come as quietbat shock to us. She began showing common symptoms of deteration in her hearing as well as having little energy and having accidents in her bed. She is after getting 2 injections and has a 2 week course of tablets. At the minute she seems slightly confused and hasnt moved from her bed sinfe. I was just wondering if theres anything I should be doing during her treatment to make things easier on her? Have you talked to your vet? I hope your dog has perked up since the treatment started. From the non-medical standpoint you can observe her current capabilities and make things as easy as you can for her. Make sure the surface in your house is easy for her to walk on. Make sure she eats and gets hydrated. If she gets lost, put down more than one bed. Take her out or take her to a pee pad (whichever you normally do) frequently to eliminate. Keep a close eye on her so she doesn’t get stuck anywhere. I’m sorry you are going through this. I hope she does better.